Preparation pays, do it right and you and you will achieve better results to your finished work. 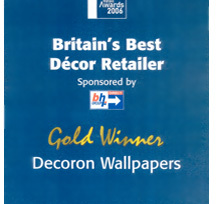 From preparation through to application and finishing, whether you are painting or wallpapering we can supply a high quality product for every purpose. 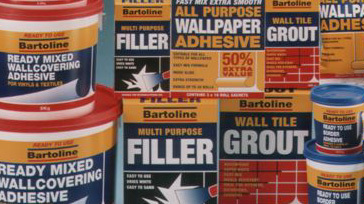 Our comprehensive range of bartoline sundry products is competitively priced and includes adhesives, fillers, silicones, sugar soap, solvents and strippers; the whole range of products is designed to meet the preparation, cleaning and application needs of both the DIY and professional decorator. We also supply a range of products from solvite and polycell. If there is an area when decorating that raises many questions, it is questions relating to surface preparation and the problems that are evident. To compliment the comprehensive range of high quality products we offer, our friendly, knowledgeable staff are able to provide you with expert help and advice on all aspects of preparation and problem solving. With years of experience and full product knowledge we can provide help and professional advice on specification, product application and suitability. 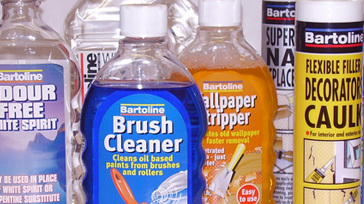 As well as all the products that we stock, we can normally supply non-stoked items from various brands within a couple of days of placing an order. 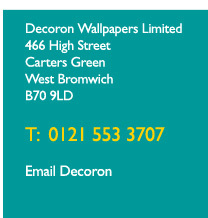 Please use the contact page if you wish to make an enquiry about any product or advice you may require.